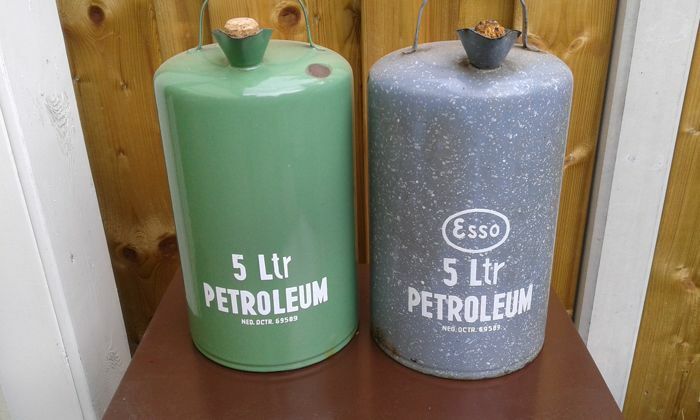 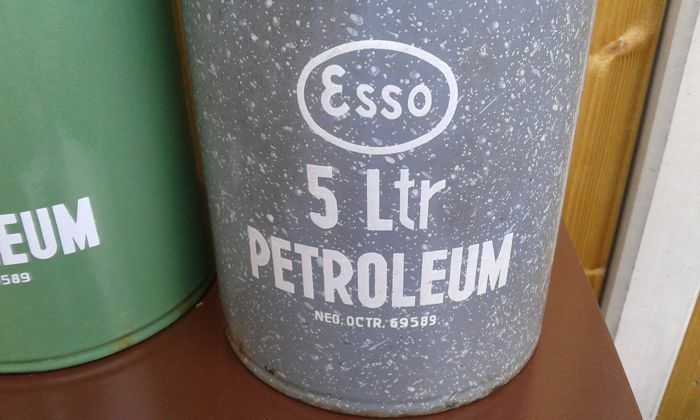 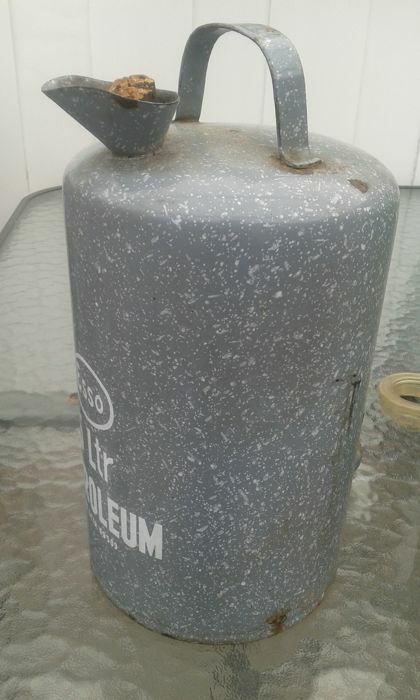 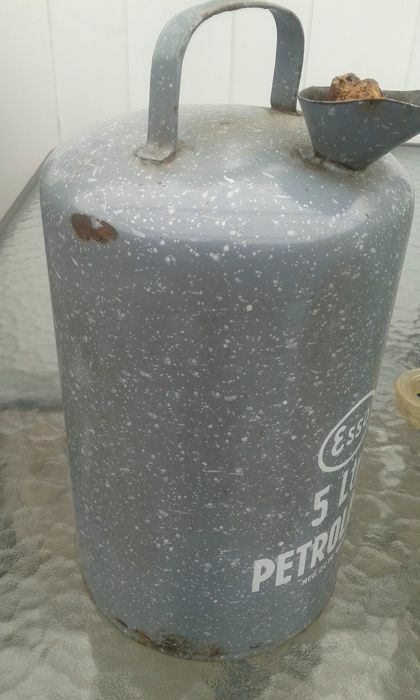 Esso 5 litre can grey enamel with spout and cap. 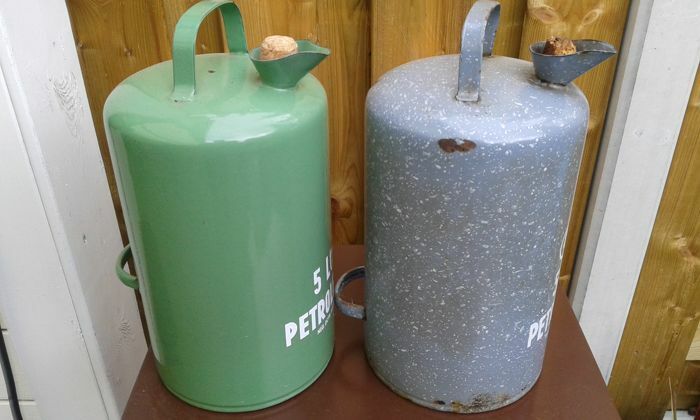 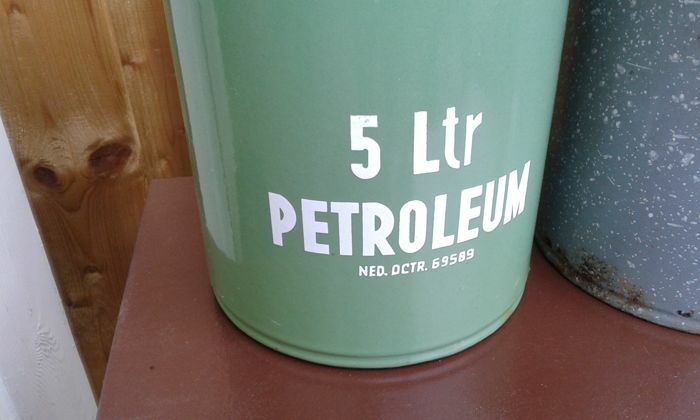 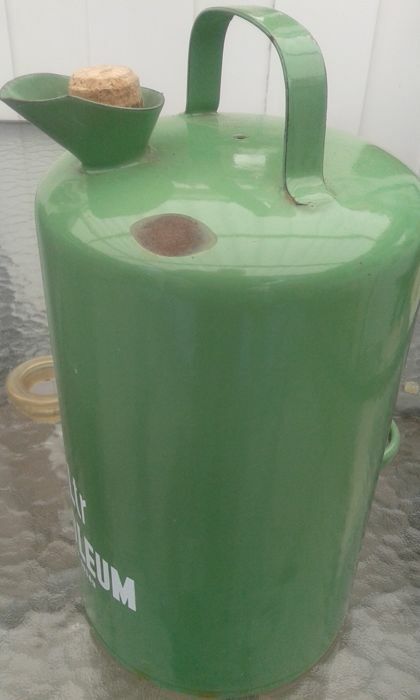 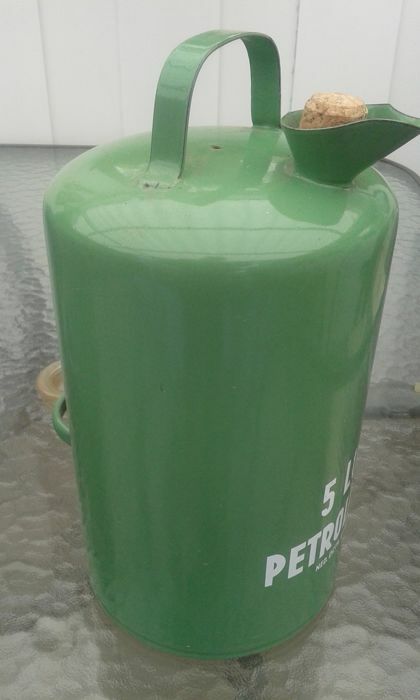 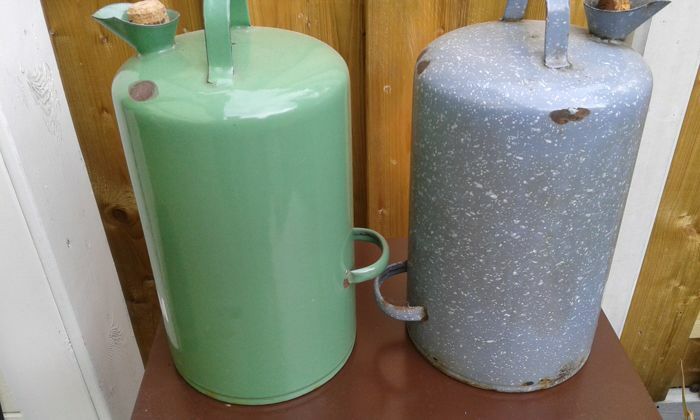 5 litre can green enamel with spout and cap. 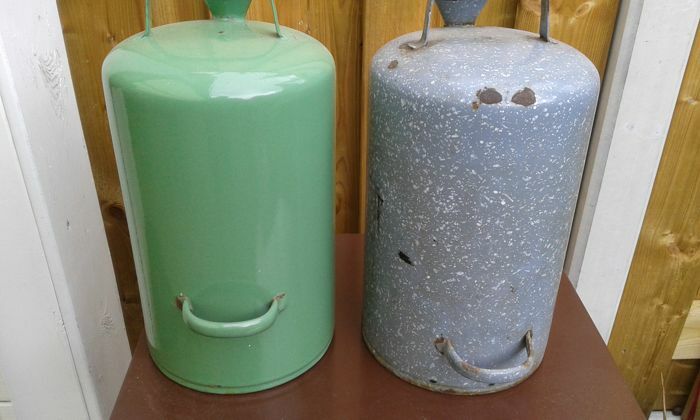 Diameter 17 cm, height 28 cm, total height content with carrying bracket 32 cm. 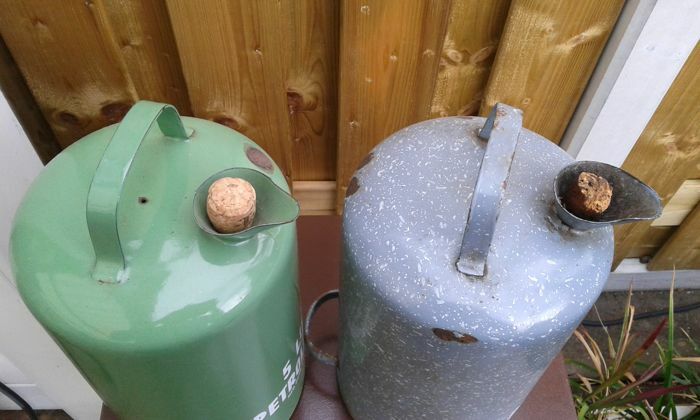 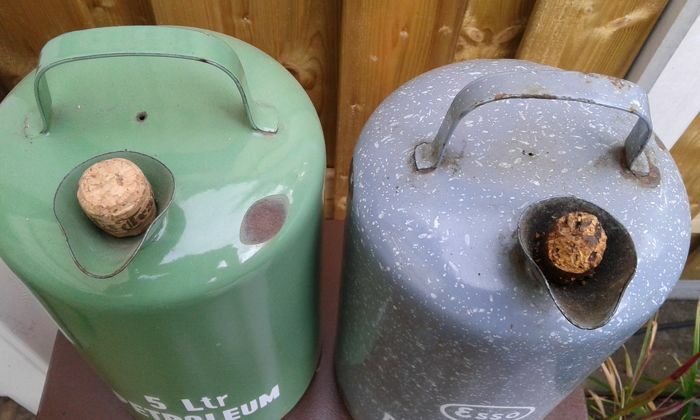 Both in good condition and fluid-proof.